wanderlust ATLANTA: Winter Wonderland is quite...Wonderful! If you've not been to Fernbank Museum of Natural History this holiday season, there's still great holiday fun to be had. Winter Wonderland is open through Sunday, January 11...and there's lots more to experience at Fernbank to extend the warmth and festivity of the season! Winter Wonderland is an annual exhibition of more than 30 trees and displays that “recognize the diversity of celebrations, holidays, traditions and events from around the world.” It’s a personal favorite of Atlanta holiday festivities and a delightful learning experience for kids and grownups alike. I start with Greece (above), having lived there for more than two years during my Navy days—what a wonderful experience! 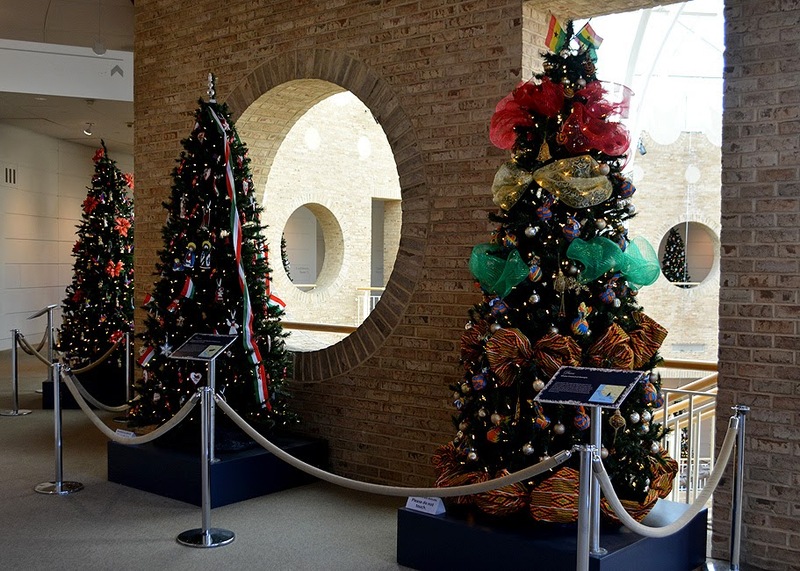 Each tree and display is provided through partnerships, this one with the Consulate General of Greece, and decorated to represent the particular country and culture. Understand of course, that a single tree or display is extremely little real estate to truly reflect the whole of a culture's holiday celebration customs, but Winter Wonderland is a fun place for young ones to perhaps learn something new about a country or culture...in a festive atmosphere! The tree representing Puerto Rico pays homage to Three Kings Day, celebrated in Latin America and Spain, a holiday that commemorates the adoration of the Magi and carries as much importance, in those cultures, as December 25. I encourage you to research Three Kings Day. That's one of the things that I love about this exhibition...you get to learn so much! 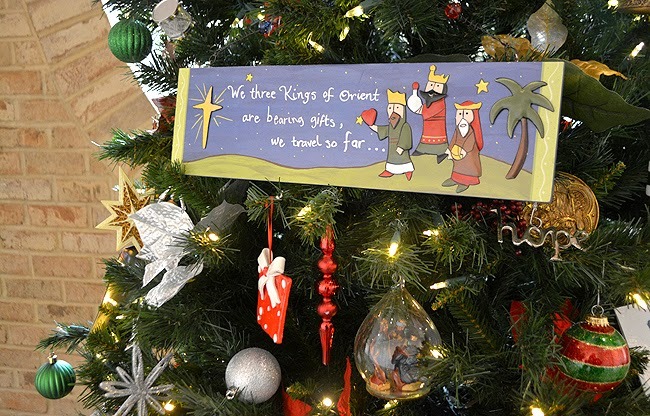 This holiday occurs annually on January 6, however the Atlanta History Center will be holding a public celebration of Three Kings Day on Sunday, January 4. 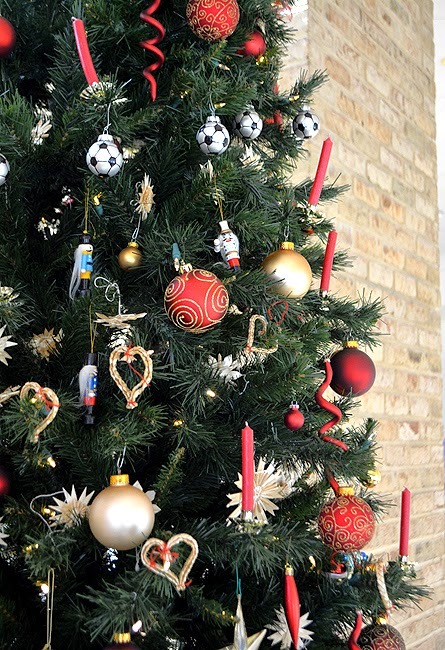 I love that the tree representing Germany has a prominent showing of soccer balls, speaking to its World Cup champion status, having won this year's FIFA World Cup tournament in Brazil, it's fourth win since the tournament started in 1930. Can you imagine how busy Der Biergarten was during that time?! This tree was provided through partnership with German Consulate General Atlanta and Goethe-Zentrum/GermanCultural Center Atlanta. I have fond memories of the IMAX film Flight of the Butterflies, which I saw at Fernbank, last year I think it was, so it's a delight to see even more butterflies at this Atlanta favorite museum. 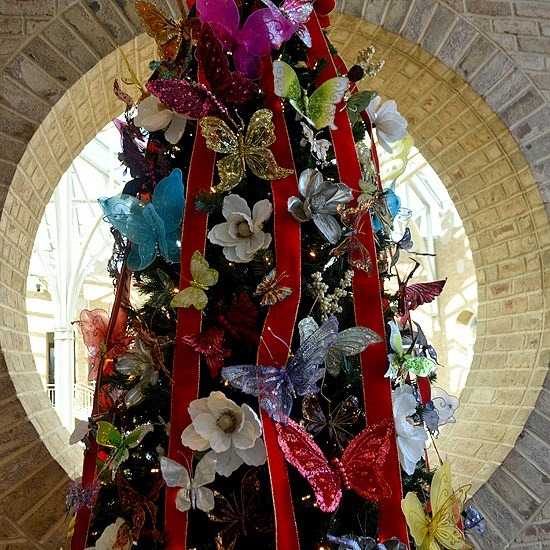 In this particular iteration, the butterfly sighting is upon the holiday tree representing Taiwan, once known as the Butterfly Kingdom. Today, Taiwan is today home to more than 400 species of butterflies. I mentioned that in addition to trees there are displays that are also part of Winter Wonderland. Be sure to check those out. One in particular I recommend is the display for Israel. The display features menorahs, inspired by Israeli innovation, created by 7th graders from the Atlanta Jewish Academy. If you're interested in catching an IMAX film while you're visiting, may I recommend Jerusalem, showing through Thursday, February 12 . It's one of the best IMAX films I've ever seen! Also on the IMAX docket is Galapagos: Nature's Wonderland, showing through Thursday, March 5. Norway's history, ancient and modern, has long fascinated me. And their 2014 tree holds the greatest fascination for me! 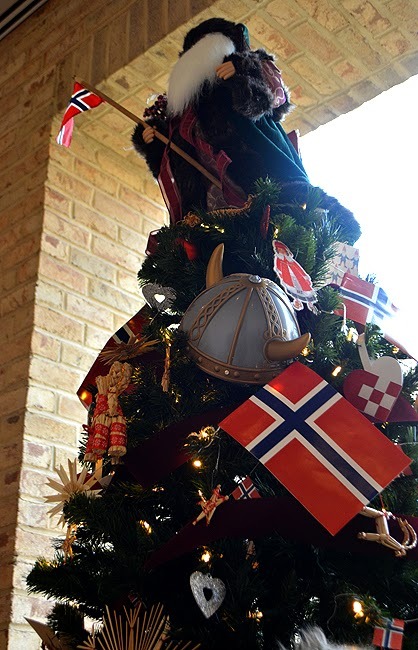 Provided through a partnership with Sons of Norway Vennekretsen Atlanta, this tree is absolutely fun, and one of my favorites in the Winter Wonderland exhibition. 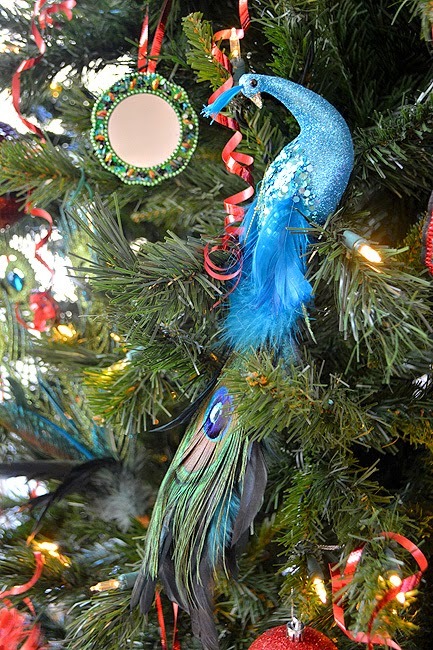 The tree representing Trinidad and Tobago is highly representative of Carnival, celebrated in that country from the end of Christmas until the beginning of Lent. Festive, festive, festive! I used to work with a lady from Trinidad and Tobago when I lived in Washington, DC...she was awesome. 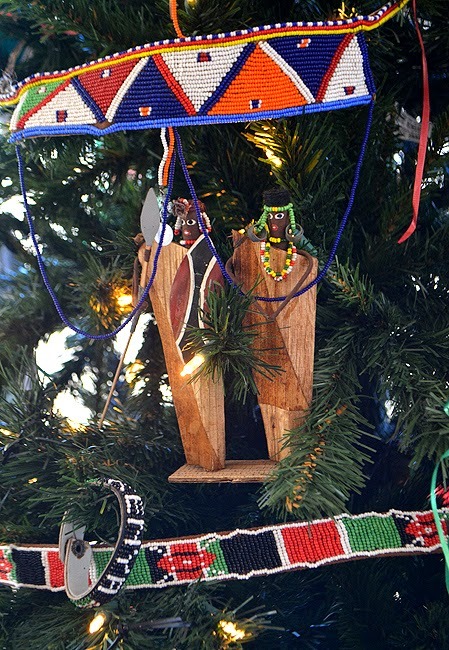 Imagine the hours that went into the decorations for the tree representing Kenya! 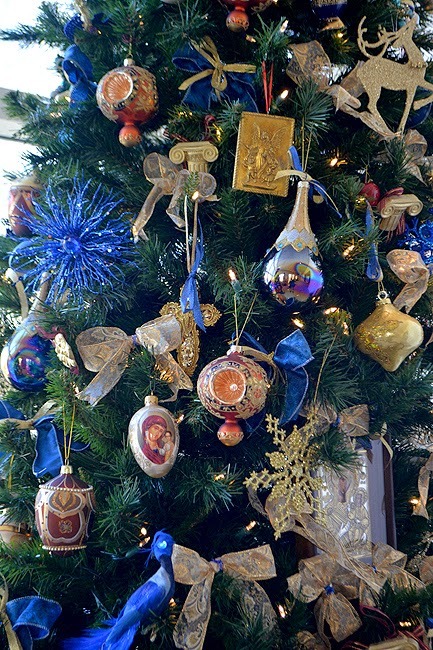 The decorations are representative of their wide cultural diversity. Many of the people of Kenya, a country that is a contributor to the global economy and home to many Olympic athletes, retain their native local traditions and customs. I have a friend from Kenya who I worked with when I lived in Washington, DC. He now lives here in Atlanta. The first time we saw each other after I moved back to Atlanta was at a Martinis & IMAX event at Fernbank! Small world. The tree above, representing Argentina, is one that even in its simplicity I like a lot. One decade ago I vacationed in Argentina for two weeks. It was magnificent and the wine was exceptional—thus the grapes adorning their tree. Keep in mind that the trees in Winter Wonderland highlight cultural aspects, not necessarily how a culture decorates their holiday trees. Winter Wonderland covers two floors overlooking the Great Hall, which also serves as the "gallery" for the Giants of the Msozoic permanent exhibit. One of the dinosaurs featured is Argentinosaurus, the largest known dinosaur to have ever walked the Earth. Argentinosaurus (that's him peeking from behind the tree) was first discovered in...you guessed it, Argentina. 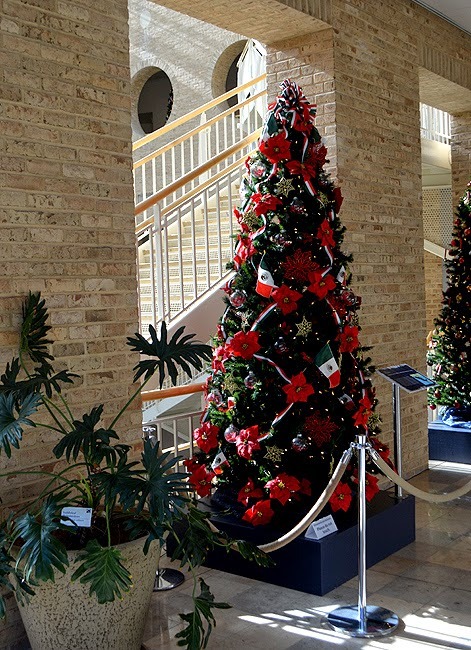 Poinsettias, indigenous to Mexico and Latin America, adorn the tree representing Mexico, provided through partnership with Consulate General of Mexico and Institute of Mexican Cultures. 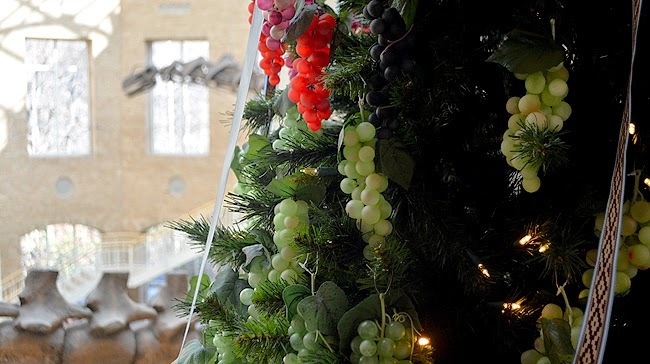 Winter Wonderland at the Fernbank Museum of Natural History is not only an exploration of world culture and a demonstration of cultural cooperation, it's a great reminder of just how international Atlanta truly is. That's one of the things that I truly love about our city. While Atlanta has suffered and endured culture clashes, today, many, many of we Atlantans, while honoring our Southern culture, embrace and celebrate cultures from around the world. Thank you Fernbank for allowing us to do so in such a festive manner!